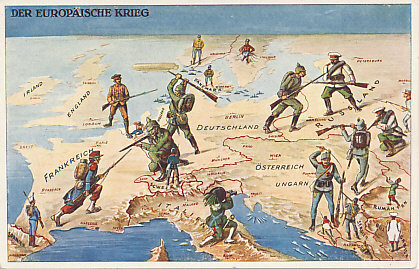 A Swiss postcard of 'The European War' in 1914. 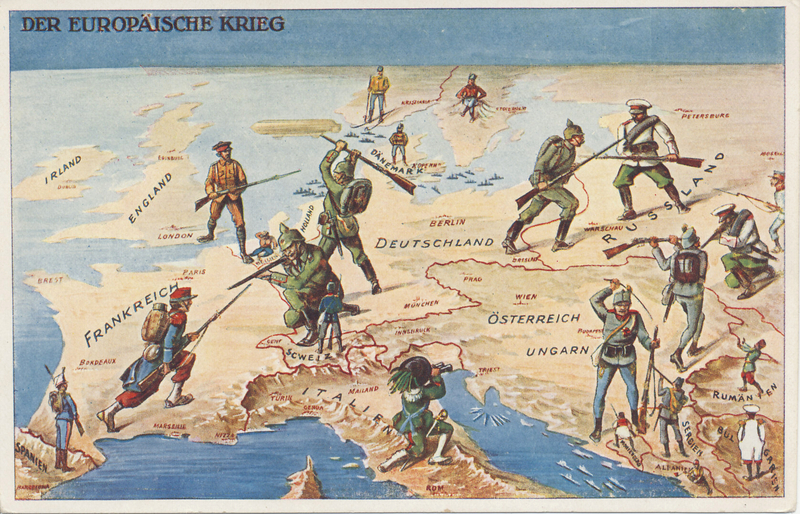 The Central Powers of Germany and Austria-Hungary face enemies to the east, west, and south. 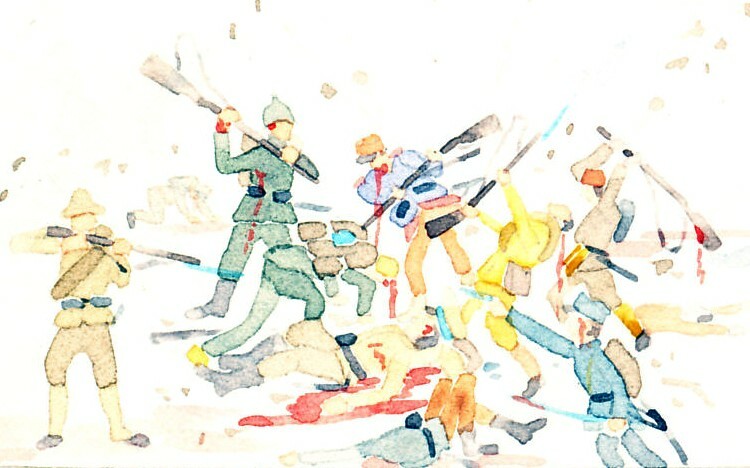 Germany is fighting the war it tried to avoid, battling Russia to the east and France to the west. Germany had also hoped to avoid fighting England which came to the aid of neutral (and prostrate) Belgium, and straddles the Channel. Austria-Hungary also fights on two fronts, against Russia to the east and Serbia and Montenegro to the south. Italy, the third member of the Triple Alliance with Germany and Austria-Hungary, declared neutrality, and looks on. Other neutral nations include Spain, Norway, Sweden, Denmark, Switzerland, Romania, Bulgaria, and Albania. Japan enters from the east to battle Germany. The German Fleet stays close to port in the North and Baltic Seas while a German Zeppelin targets England. The Austro-Hungarian Fleet keeps watch in the Adriatic. 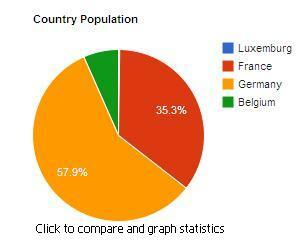 Turkey is not represented, and entered the war at the end of October, 1914; Italy in late May, 1915. A peninsula on the Eurasion landmass, separated from Asia by the Ural Mountains. Continent of Europe is a continent.